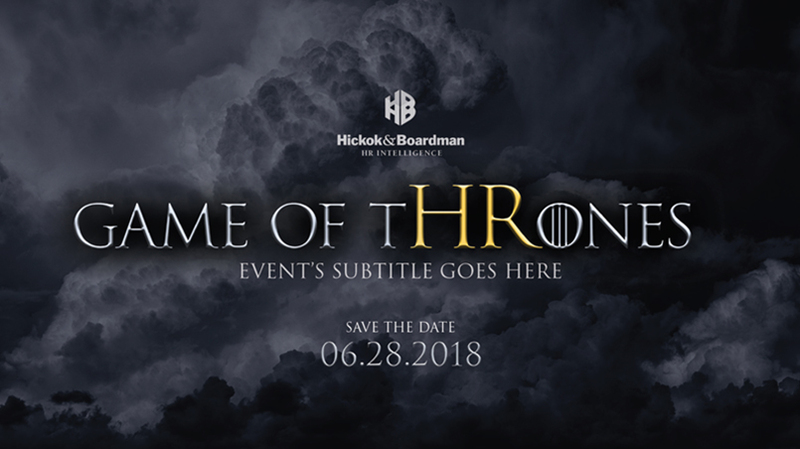 For several years now, we’ve been working with Hickok & Boardman to create the graphics and thematic content for their big annual conference that brings together personnel working in the human resources field. We always have a lot of fun with it. This year’s event “Game of tHRones” was a continuation of our riffing off of contemporary themes. Thankfully, they run the whole thing a little safer than the eponymous TV show; it’s light on the swordplay, fire-breathing dragons and White Walkers. But, it’s long on helping people “conquer the kingdoms to rule HR”. Have a look at our work in support of the event here.